New Year’s Day is the most important Japanese holiday, where many “firsts” are celebrated. Some of these special firsts include; first prayer, first sunrise, and first …SALE! 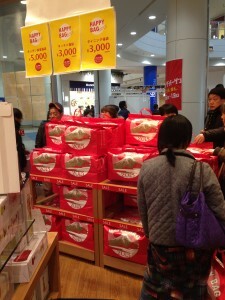 The Japanese phenomenon known as fukubukuro, (or “lucky/happy bag”), entails heading to a store on January 1-3 and buying a bag with unknown contents for a set price. The only guarantee is that the bag will be worth more than you paid, sometimes several times more, but it’s a gamble. If you are a risk taker at heart, you will love this custom! Some stores show the contents of the bags, but most do not, it’s a complete surprise. Opening your lucky bag has all the anticipation of Christmas morning, and possibly some of the disappointment. Was it money well spent, or not? 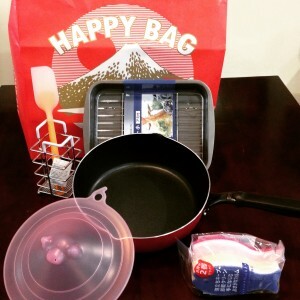 For example, I spent Y3000 for this bag at a kitchen wares store, and this was its contents; a small roasting pan with rack, frying pan, spatula, “pig” microwave lid, utensil holder, and two fish shaped kitchen sponges. This bag was definitely worth more than what I paid. (near Ikea and Showa park). There are over 250 retail stores, restaurants and services to enjoy, including some of our American favorites; Old Navy, Banana Republic, American Eagle Outfitters, Diesel, Guess, Godiva, North Face, and Starbucks, just to name a few! 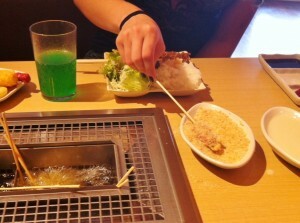 As far as dining options go, there is both a food court and a wide variety of different restaurants. I did notice that three of the restaurants on the third floor offered a child play area. KidsBee and Mogoon were restaurants with really fun kid areas (ball pits, slides, and different activities), and Sirotan Museum, was a candy store with a play area in the back. (Cost was approximately Y300 for 1 hour or Y100 for 30 minutes at Sirotan.) 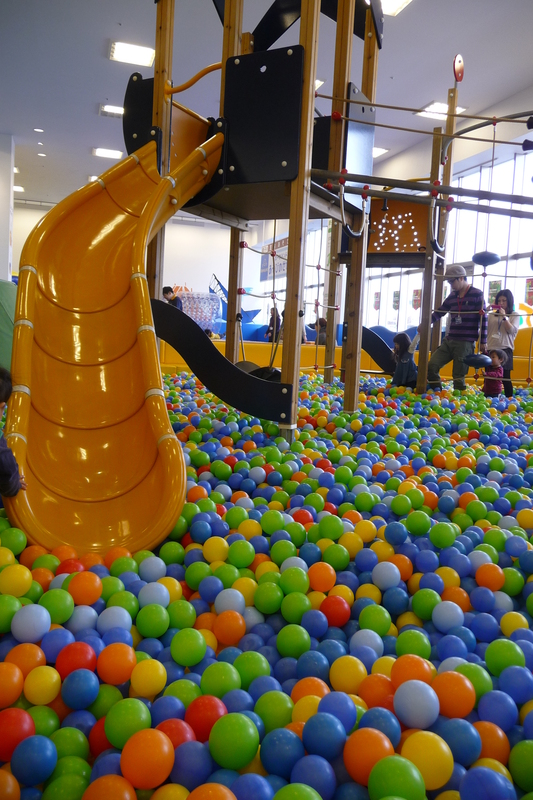 None of these play areas were as large as Bornelund in Aeon Mall, but its always nice to have more restaurant/play area options! There was also an Eggs ‘n Things, Pinkberry, Cafe Amigo (someone please let us know if it’s authentic Mexican food! ), and so many more. Check out the LaLaport website for a complete list of stores. “The Mall” is less that a 15-minute drive from the base. Similar to the Aeon Mall on a much smaller scale, this mall is great if you want to make make a quick shopping trip from the North or West sides of base. There is a large food court on the first floor, with several dine-in specialty restaurants, including one with an extensive dessert menu. There is also a rather large grocery store in the “Livin” part of the mall. 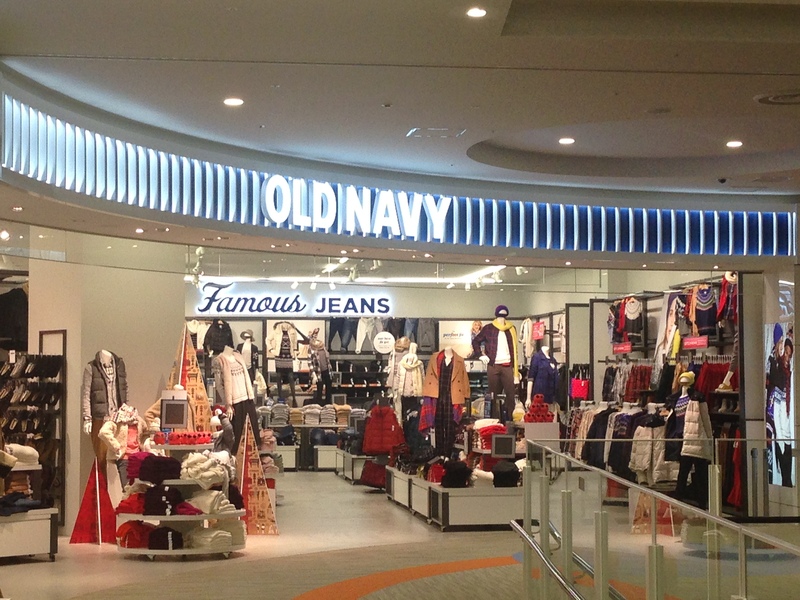 The Mall is home to specialty stores, including ones with baby clothes, strollers, and massage chairs. There are various clothing stores, and a store that is kind of like Pier One Imports. There is a fairly large selection in the “liquor store” and in the fresh coffee beans store on the first floor, inside the grocery store. Also on the first floor near Starbucks is a small, brightly lit nail salon. DIRECTIONS: Turn right out the Terminal Gate, and follow signs for Route 16. The Mall will be on the left at approximately 6.5 km. There is a large green sign on top of the building that says “The Mall.” Parking is free and is either on the street level, or up above the mall via ramps on either side of the mall. Michelle Arostegui, 2002, updated Deborah Silverman, 2012. This huge American-style mall is just two kilometers from the East Gate. 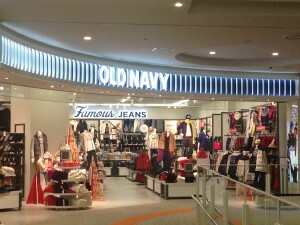 Shops include H&M, Gap, Gap Kids, Eddie Bauer, L.L. Bean, Uniqlo and Zara. 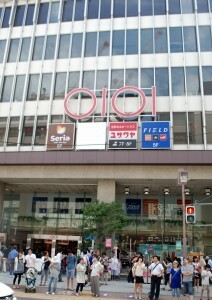 It is anchored by a large department store with a big supermarket on the first floor. Also there is a fabulous indoor playground called BorneLund on the first floor. At the opposite end, on the second floor, is a large store called Victoria that has outdoor equipment and golf supplies. On the second floor is an Aveda Salon (042-562-5168) where enough English is spoken to achieve a haircut. The Mall also houses a movie theater. (To find out what’s playing: https://cinema.aeoncinema.com/wm/musashino/.) Parking is plentiful and free. Hours: 10am-10pm, open 9am during the Christmas season. 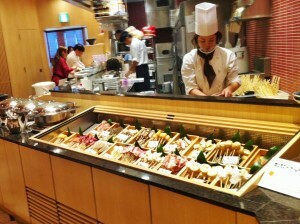 Address: 1-3,Enoki 1-chome,Musashimurayama-shi,Tokyo. DIRECTIONS: Turn left out of the East Gate. Go 300 meters to the 7/11 and turn right on a narrow road. Go straight for 1 kilometer. Turn left onto Route 59. The corner of the mall will be on your right at the next light. Turn right here and left into the parking area. Pricey but really fun, this indoor playground is called Børnelund. 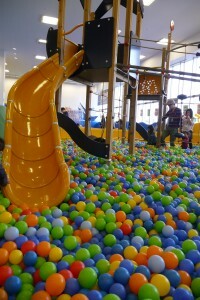 It features a jumpy raceway, jungle gym with slides descending into a field of plastic balls, a large train table, and different stations with build-it-yourself toys. With lots of things to climb in, run on, and puzzles to work out, this makes for a very fun outing. There is also a segregated toddler area for little ones, ages 6 -18 months, including a place to change diapers. Located on the first floor of the mall, behind the H&M, near a back entrance. Price is ¥600 for the first 30 minutes for each child, a flat ¥300 for adults, plus ¥100 for each additional 10 minutes for children. 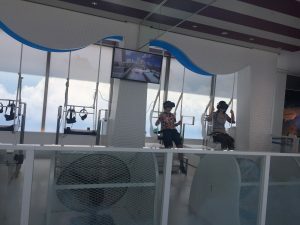 It can add up, but there is also a flat rate of ¥1500 per child for unlimited play. With the unlimited play option you can come and go as you please. Opens at 10am even during the Christmas season when the mall opens at 9am. Sarah Straus and Alexandra Winkler, 2012. Do you like Bornelund and want more?? 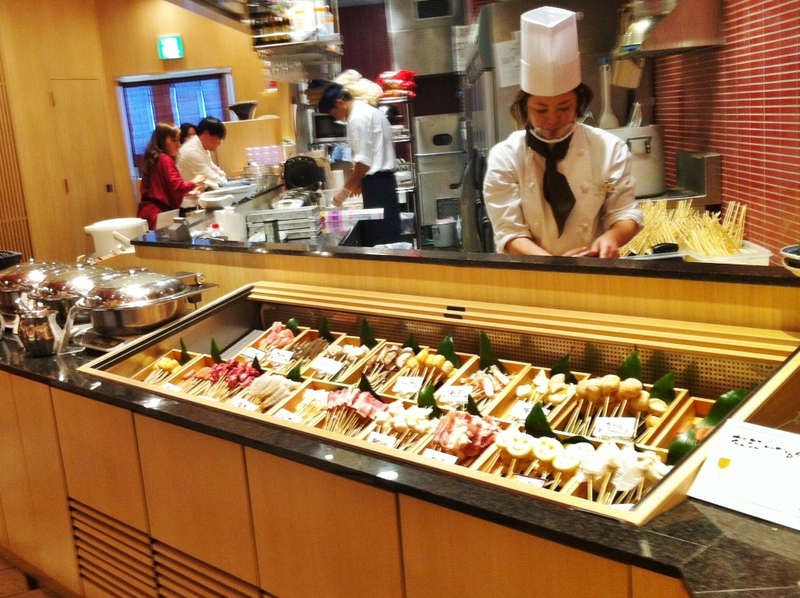 Try ASOBono in Tokyo or Round 1 in Iruma. DIRECTIONS: Turn left out of the East Gate. Go 300 meters to the 7-11 and turn right on a narrow road. Go straight for 1 kilometer and turn left onto Route 59. The mall will be on your right at the next traffic light. Turn right here and left into the parking area. 2. 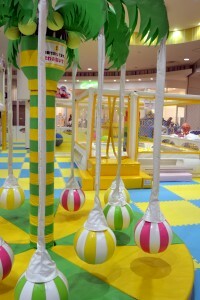 Aeon Mall out the Fussa Gate (Hinode) : Yu Kids Island is less expensive, a bit smaller, but tons of fun all the same. This indoor playground is about 6km from Fussa Gate. It features many large movable objects – things that rotate around or rock back and forth that kids can climb up or hang from. There are two balloon stations where kids can hit at balloons being blown around. This place is the right size to be able to stay in one place and watch your kids play. I went with kids ages 18 months to 41/2 years and they all had a great time. Costs a flat ¥600 per child for unlimited play during the week and 60 minutes of play on the weekend. Note, with the unlimited weekday play you cannot come and go. It is unlimited play until you leave. It is located on the third floor near the food court with a great kid-size bathroom right next to it. Open 10am but starts opening early during the Christmas season when the mall opens earlier. Phone for Hinode Aeon: 042-588-8000. GPS: 35.73349, 139.27547. 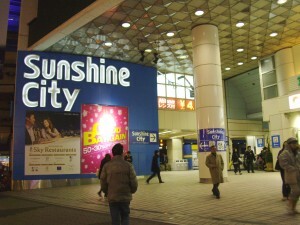 Sixty stories tall, Sunshine City is a mall, a science center, a museum, a theme park – in short, an amazing indoor world. When you enter the building on the B1 level, you traverse a long hall with a “people mover” escalator to the main entrance. There is an information desk with computers where you can get directions printed for places in the complex. Or, you can just wander through and follow the color-coded lines on the floors. The red lines lead to the World Import Mart, the aquarium and planetarium. The blue lines lead to the Ancient Orient Museum and Sunshine Theater. The orange lines lead you to Shopping Center Alpa. You can make a circle tour of the Bl level as there are two main corridors the length of this level. When you are facing the information desk, if you take the entrance to the left, you will come to a beautiful fountain which has a show of dancing water accompanied by organ music at 1pm, 2:30 and 4pm. The first three levels are mostly department stores. 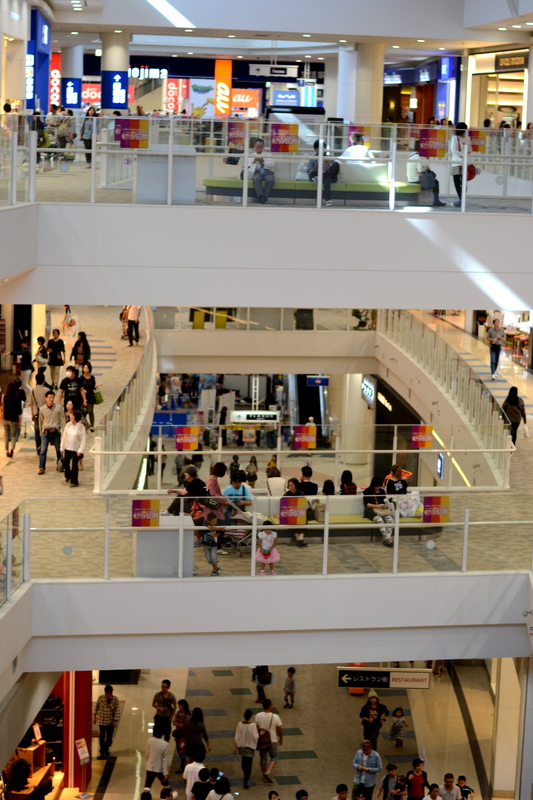 In taking the escalators up, you will find some interesting shops and restaurants on the other floors. *The above post is from 2011, so the information could be outdated. Please let us know if you have updated information. 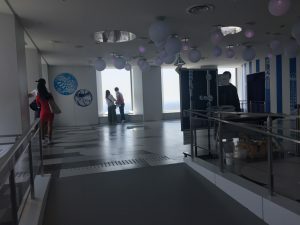 Sunshine 60 observatory was closed in May 2015 for a large-scale renovation and re-opened in April 2016 as Sky Circus. 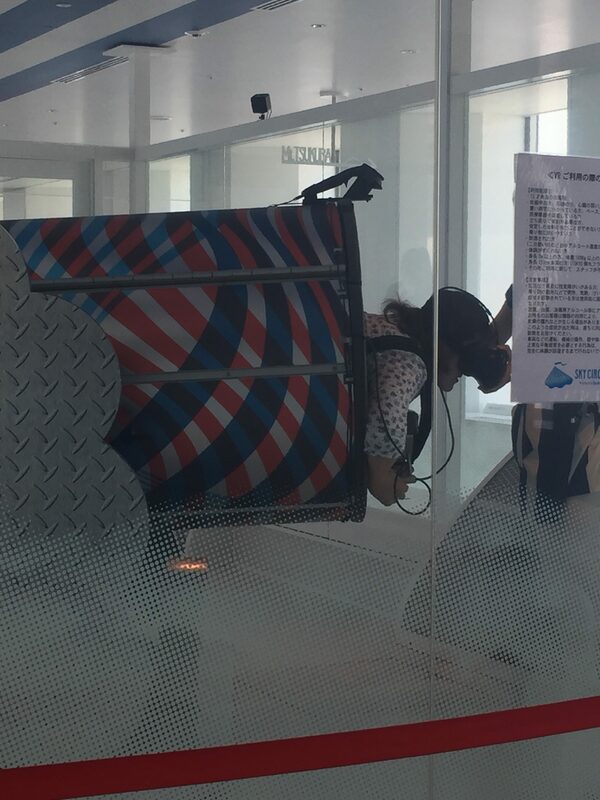 At this new “experience-based observatory”, you can enjoy the latest VR rides and games. You need to purchase tickets for rides and games separately. 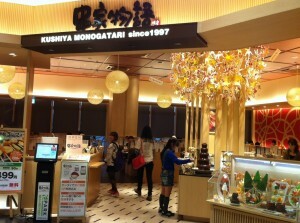 •Tokyu Hands: This store, at the B1 entrance to the Sunshine Building, will delight crafty-minded shoppers. There is something different on every floor and the breadth is astounding, from toys to stationary and leather craft to hardware. Bonus: There’s a “cat cafe” on the top floor. 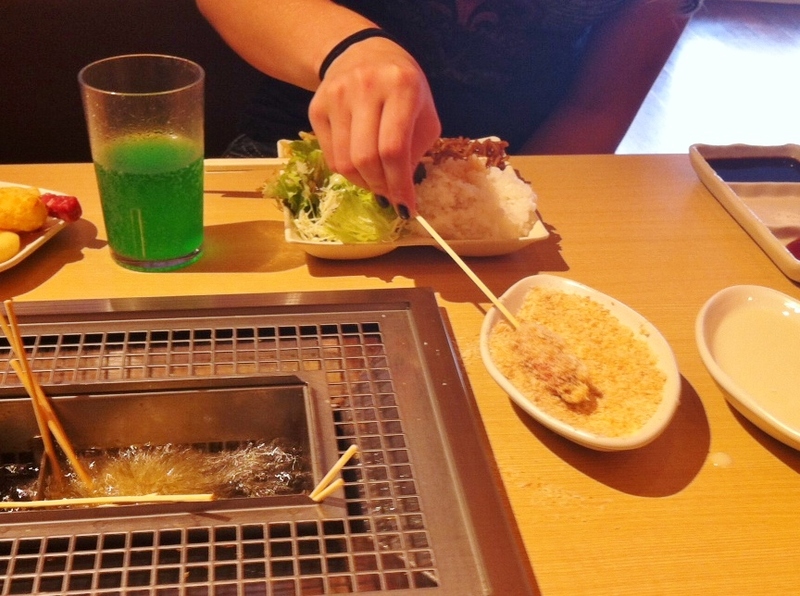 It’s one of those “only in Japan” things. DIRECTIONS: Take the Ome line to Tachikawa, and change to the Chuo Line. At Shinjuku, transfer to the green Yamanote Line in the direction of Shin-Okubo and get off at the fourth stop, Ikebukuro. Head for the east exit towards Seibu Department Store. You will see signs for Tokyu Hands also. Coming out of the station, look for the tallest building (sometimes the top is hidden in the mist) and walk towards it. This will be Sunshine City. It will be in front of you as you come out of the station. You will have to go right a little bit to pick up the tree-lined street to the building. 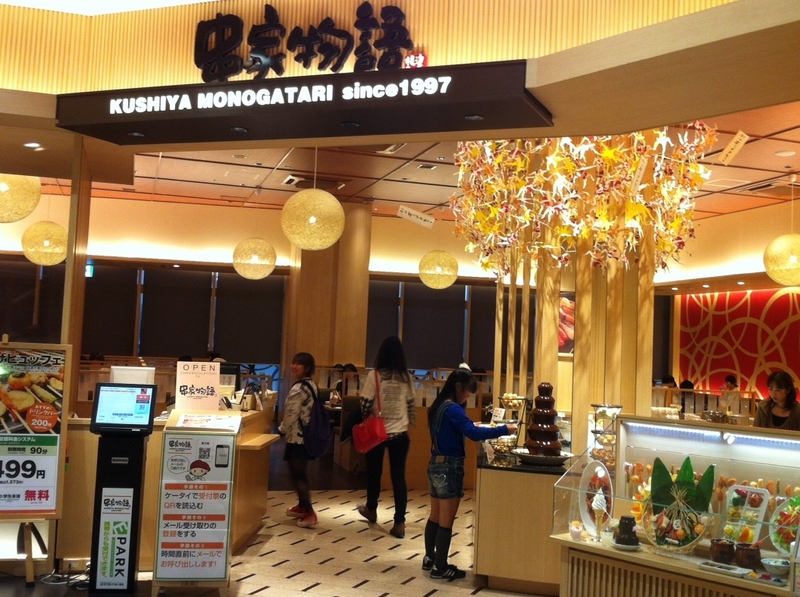 This is a fairly large, American-style mall that’s a fav for Yokota shoppers. 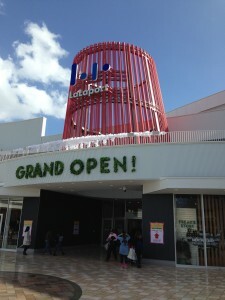 The shops are mostly Japanese, including the Japanese clothing chain Uniqlo, which has stylish, cheap clothing akin to the Gap. It also has a Disney Store, a Starbucks and other U.S. chains. There’s an indoor food court and many restaurants around the adjacent plaza, including KFC. It has a large parking garage. Take a card on the way in, then show it every time you buy something. Before you return to your car, feed the card into the machine by the elevator and pay what you owe. If you’ve bought lunch or any trinkets, you probably won’t owe anything. Then drive to the parking garage exit and deposit the card to lift the barrier. Liz Ruskin, 2012. DIRECTIONS: Exit the East Gate and turn right. Keep going straight. At 3km you’ll reach the mall, on your right, clearly marked in English. But keep going straight. The parking garage entrance is on the right, at 3.2km. Look for a blue sign with a white “P.” TRAIN DIRECTIONS: From Fussa station, catch a train going toward Tachikawa. Get off at the third stop, Akishima. Exiting the station, you’ll see the Espa department store on your right, which is one of anchors of the mall. This area has tons of shops, including: Tokyu, Parco Department Store, Williams-Sonoma, Marui department store, Body Shop, L.L. Bean … If you find one you think we ought to list here, post a comment. 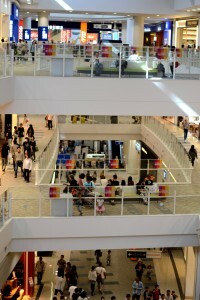 This multi-story shop is a great place to buy a small gift. It’s a drug store! A stationary store! A kitchen store! It has everything but tires, I think. And all of it is uber cool. The paper department has lovely washi and other Japanese traditional arts. See our entry on LOFT in the Shibuya section. DIRECTIONS: From the central exit of Hachijoji station, look across the plaza to find the opening to Sun Road, an arcaded shopping street. Walk down Sun Road until you reach an intersection with a traffic light. This is Honchoshindo, and it’s at about the mid-point of Sun Road. Turn left on Honchoshindo. Walk past the Coppice department store. Loft is on the left, just before you reach the next traffic light. Hours: 10:30am-8:30pm. (Closing time varies by an hour on certain days.) Tel: 0422-236-210. GPS: 35.7055908, 139.5788847. 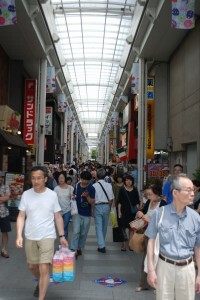 This mall is attached to the Kichijoji station and is far more vast than it first appears. The first floor has a beautiful bakery and other eateries. The lower level has a nice cheap thrill, a chain store called Three Coins. Nearly everything in it costs ¥315, but unlike a ¥100 store, this one has a definite “look.” Kind of West Elm but more feminine. Mall hours: 10am-9pm, although some floors close earlier. Tel. : 0422-221-401. This is a book store with lots of toys and miscellany cramming the aisles. It gets rave reviews. It appears to be right next to Tokyu. Details anyone? The Marui department store is here as is Yuzawaya, a very large craft store that is said to be a good place to buy Japanese souvenirs. Walk straight out of the station for about a minute, past the glittering pachinko parlors, until you reach a main street called Inokashira Dori. 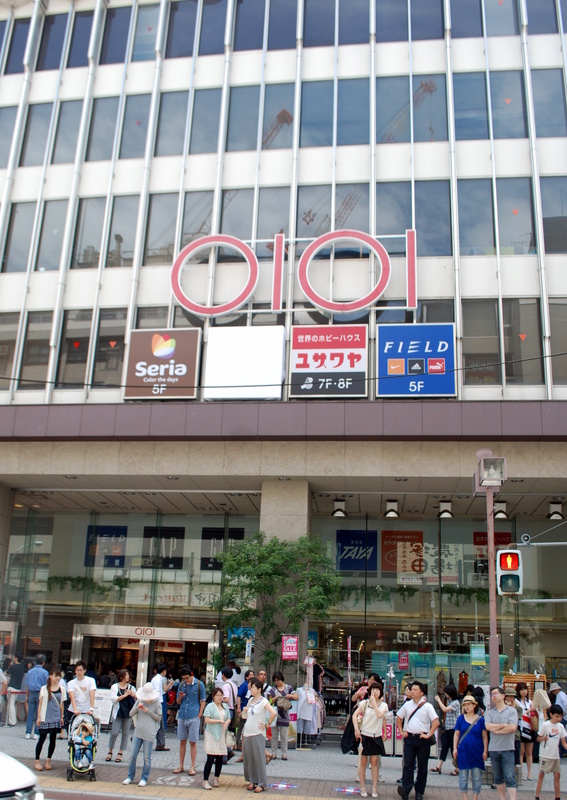 It’s dominated by Marui, so look for the “OIOI” sign. (The word maru means circle). There’s also a Body Shop, Subway Sandwiches, and L.L. Bean. Continuing on, you will come upon the Inokashira Park—a great place to take your lunch.